0	jplist-folder-All-Posts-27105 jplist-folder-Featured-27108 Update-Update	jplist-topic-Granite-Gives-Back jplist-topic-Philanthropy jplist-topic-SBS6	1	04/16/2019 13:48:17	On April 3rd, 2019 over 1,000 teammates, family and friends shaved their heads and cut their hair to benefit Boston Children’s Hospital. Granite Telecommunications donated $6.5 Million to fund pediatric cancer research in our 6th Annual ‘Saving by Shaving’ event. We were joined by the Boston Children Hospitals team, sports legends, current players, community leaders and celebrities. For each person who shaves their head or donates at least 8 inches of their hair (going to 'Hair We Share'), Granite donated $2,500, which was matched dollar for dollar by the Hale family, for a total of $5,000 per head to fund pediatric cancer research at Boston Children’s Hospital. Plus, a donation of $100 was made for every "chemo cap" (a hat for cancer patients who’ve lost hair due to chemotherapy) created by the Granite Fiber Art's team. This year the team handcrafted 451 hats for children and adults. Want to earn commission? National Channels Manager Kevin Bednarz guides you through the easy steps to get started. 1	jplist-folder-All-Posts-27105 jplist-folder-Featured-27108 jplist-folder-All-Posts-27105 Video-Video	jplist-topic-Channels jplist-topic-Commissions jplist-topic-Granite jplist-topic-Marketing jplist-topic-Minute jplist-topic-Money jplist-topic-Proactive jplist-topic-Telecom jplist-topic-Video	1	02/16/2017 13:54:10	Want to earn commission? National Channels Manager Kevin Bednarz guides you through the easy steps to get started. 2	jplist-folder-All-Posts-27105 jplist-folder-All-Posts-27105 Account-Management-Account-Management	jplist-topic-Contact jplist-topic-Regional-Map	0	04/18/2019 16:46:53	Granite is adding seasoned regional channel managers to strengthen our presence nationwide! The latest coverage maps help to find the correct contact for your region! 4	jplist-folder-All-Posts-27105 jplist-folder-All-Posts-27105 Book-Book	jplist-topic-Culture jplist-topic-Managed-Services jplist-topic-Mission jplist-topic-Overview jplist-topic-Saving-By-Shaving jplist-topic-Telecom jplist-topic-Telecommunications jplist-topic-Values	0	05/15/2018 09:54:53	We are more than just a POTS company. In this 2018 overview, you get the Granite insight on what makes us a $1.35B debt free company. With top customer care, teammates and services, Granite is able to excel in helping our customers and their telecom needs nationwide. 11	jplist-folder-All-Posts-27105 White-Paper-White-Paper	jplist-topic-Collateral jplist-topic-General-Information jplist-topic-Granite jplist-topic-Sell-Sheet jplist-topic-Telecom jplist-topic-Telecommunications	0	05/14/2018 15:37:33	Granite has revamped their sell sheets delivering the message that we are more than just a POTS company. 12	jplist-folder-All-Posts-27105 jplist-folder-All-Posts-27105 Video-Video	jplist-topic-Agents jplist-topic-Clients jplist-topic-Customer-Service jplist-topic-Customers jplist-topic-Development jplist-topic-Mark-Palmer jplist-topic-Nock jplist-topic-Partners jplist-topic-Phone jplist-topic-Relationship jplist-topic-Sdwan jplist-topic-Support jplist-topic-Telecom jplist-topic-Telecommunications	0	12/18/2017 14:39:16	Mark Palmer, Director of Relationship Development, breaks down Granite SDWAN in under 3 minutes. 14	jplist-folder-All-Posts-27105 Promotion-Promotion	jplist-topic-Christmas jplist-topic-Contest jplist-topic-Giveaway jplist-topic-Holiday jplist-topic-Mrc jplist-topic-Oprah jplist-topic-Orders jplist-topic-Rewards jplist-topic-Telecom jplist-topic-Telecommunications jplist-topic-Things	0	11/13/2017 11:11:10	Granite Channels Favorite Things Weekly Holiday Giveaway! THIS SEASON, WE ARE REWARDING OUR PARTNERS WITH GIFTS FROM OPRAH' S FAVORITE THINGS LIST!EACH WEEK UNTIL CHRISTMAS, FOR EVERY 5TH ORDER GRANITE CHANNELS RECEIVES OVER $500 MRC, WE WILL SEND THE SELLING AGENT AN ITEM(S) FROM OPRAH'S FAVORITE THINGS LIST ! ALL NON-WINNING ORDERS WILL BE PUT INTO A MONTH END DRAWING. View Here to See the gifts on Oprah's List! 20	jplist-folder-All-Posts-27105 jplist-folder-All-Posts-27105 Video-Video	jplist-topic-Employee jplist-topic-Service jplist-topic-Spotight jplist-topic-Support jplist-topic-Team jplist-topic-Telecom jplist-topic-Videos	0	10/11/2017 11:03:26	What happens after the sale? Who is assisting your customer after they join with Granite? Well we want you to know! Our dedicated support in GraniteChannels is what helps us operate everyday and follow up with your client's needs. Get to know them! First up, Steve Wagner, Channel Manager of Support and Wholesale. A recent hire to our team, and we couldn't be more thrilled to have his expertise to lead GraniteChannels support. 23	jplist-folder-All-Posts-27105 jplist-folder-All-Posts-27105 Video-Video	jplist-topic-Analyze jplist-topic-Boston jplist-topic-CAST jplist-topic-Cost jplist-topic-Granite jplist-topic-Savings jplist-topic-Team jplist-topic-Telecommunications jplist-topic-Telephones	0	09/28/2016 12:00:21	With the latest video from Granite Channels, the team dives into the CAST team. This team allows agents to save time and money on invoices. Let us do the work for you, check out the video to learn more. 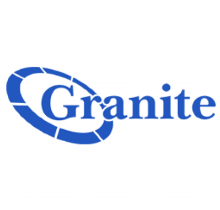 Granite provides one-stop solutions for voice, data, Internet, wireless, video and secure network options throughout the United States and Canada. Granite understands that no two businesses are run the same way, and will create a flexible communications solution tailored to each customer’s needs today and in the future. Granite’s scalability allows your business to grow with imminent demand. 26	jplist-folder-All-Posts-27105 jplist-folder-All-Posts-27105 Quick-Post-Quick-Post	jplist-topic-2015 jplist-topic-2016 jplist-topic-Agents jplist-topic-channel jplist-topic-Channel-Partners jplist-topic-Channel-Partners-Expo jplist-topic-CLEC jplist-topic-Expense-Management jplist-topic-Partners jplist-topic-Pots jplist-topic-POTS-Consolidation jplist-topic-Telecom jplist-topic-Telecom-Association jplist-topic-Winner	0	02/17/2016 13:40:12	Thank you, thank you, thank you, thank you! Four thank you shout outs to our amazing partners for four years of your votes. Telecom Association has just announced their annual results for top telecom performers in 2015. For the fourth straight year in a row, we have been chosen #1 in the following categories and also a 2016 Recommended Vendor:National CLECTelecom Expense Management Structured Cabling POTS ConsolidationWe look forward to expanding our products and working with you in 2016 to earn the same, if not more, recognition. It is truly appreciated and we will continue to give you the best customer service 24/7. See you at Channel Partners and be sure to visit us at booth #703 ! 27	jplist-folder-All-Posts-27105 Product-Literature-Product-Literature	jplist-topic-voice	0	01/18/2016 14:14:01	Granite for all your service needs. 28	jplist-folder-All-Posts-27105 Product-Literature-Product-Literature	jplist-topic-voice	0	01/18/2016 14:09:48	Granite for all your service needs. 29	jplist-folder-All-Posts-27105 Product-Literature-Product-Literature	jplist-topic-data jplist-topic-Integration jplist-topic-mpls jplist-topic-Network jplist-topic-voice	0	01/18/2016 14:07:40	Granite for all your service needs. 30	jplist-folder-All-Posts-27105 Product-Literature-Product-Literature	jplist-topic-Grid jplist-topic-Network jplist-topic-Solutions	0	01/18/2016 14:04:59	Granite for all your communications needs.